It's really starting to warm up here in Sunny San Diego! All my trees are starting to blossom, and all my seedlings are starting to sprout. 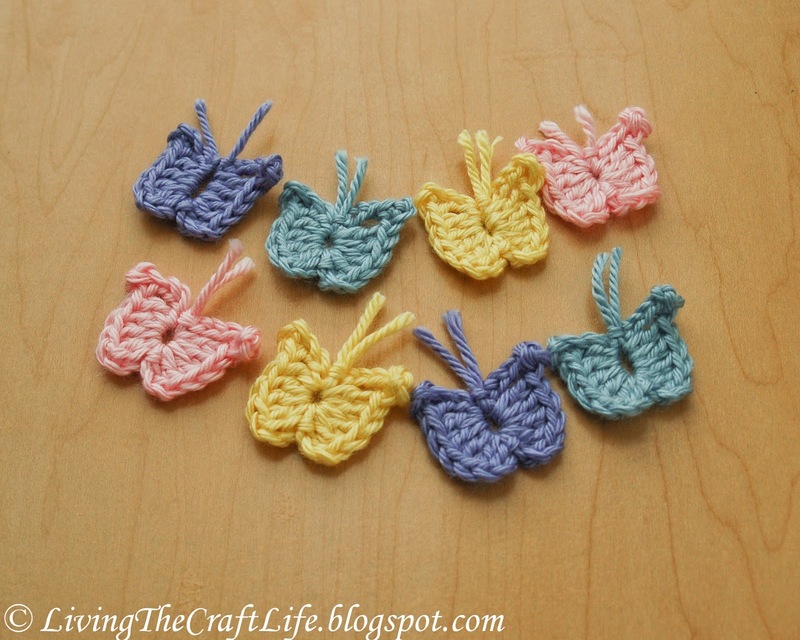 I wanted to celebrate the springtime by making a few butterflies. 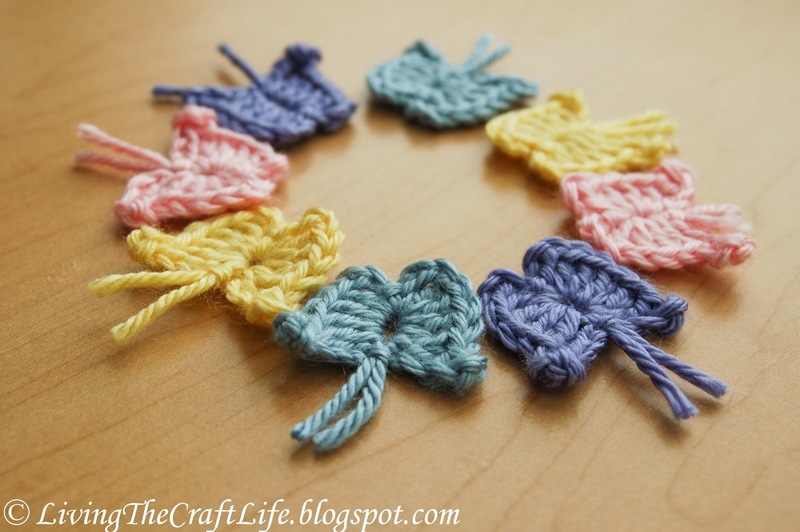 There are SO MANY butterfly patterns (including my own), and I love trying out new patterns and, in general, creating beautiful things. 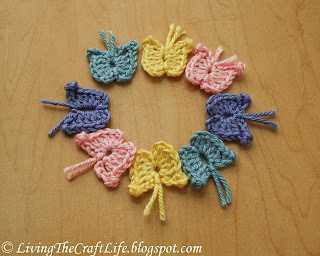 They turned out so cute I had to make some in a bunch of spring colors! Didn't they turn out great!? You can find the pattern here: http://www.crochetleaf.com/crochet-butterfly-pattern.html. 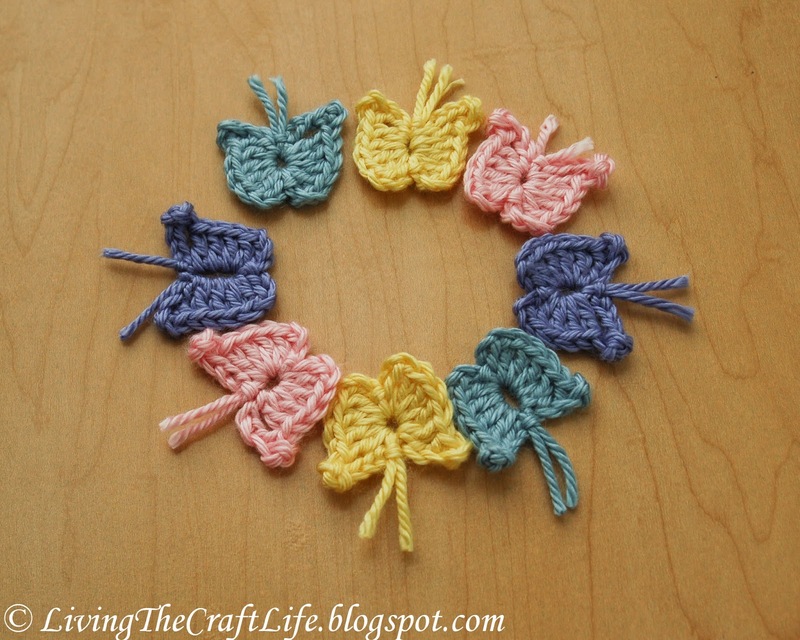 Crochet Leaf provides not only the pattern but a lengthy tutorial to help you make the butterflies. They're so cute, you should make a whole bunch to decorate for spring's arrival!